Manny Waks and his father, Zephaniah. He has called for the entire committee of the Melbourne Yeshiva centre to resign (photo: Mal Fairclough/AAP). For two weeks in February, the royal commission into institutional responses to child sexual abuse examined the way abuse cases were handled by the Yeshivah centres in Sydney and Melbourne, which run schools, social events and religious activities. On Wednesday, 11 abuse victims wrote an open letter to the Melbourne centre expressing dismay at what they described as a lack of accountability among senior figures since the commission hearings. The commission heard how victims were groomed for sexual abuse by staff, then bullied and ostracised by religious leaders when they sought help. On Friday morning, Yeshivah Melbourne issued a statement to say committee members Chaim New, Yirmi Loebenstein, and Sue Susskind had resigned, as well as the chairman of the committee, Don Wolf. “We will shortly commence an independent review of the governance arrangements of the centre, including the transparency of the committee,” the statement said. However, Wolf told the commission in February that he had resigned in 2014. Yeshivah also announced a scheme would be implemented within a few weeks to respond to the needs of victims of child abuse, al it though did not elaborate on what that would involve. “An independent and pre-eminent committee is being established to develop and implement a scheme based on the principles of existing models operating in other organisations,” the statement said. 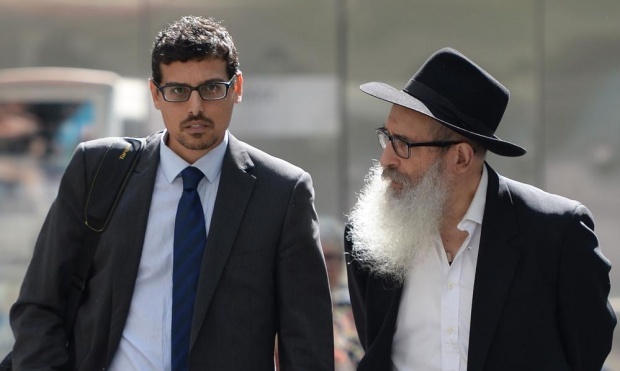 Among those to give evidence to the commission was Manny Waks, who was abused multiple times by two Yeshivah staff members. When he came forward with his story in 2011, he faced ridicule within the Yeshivah community, and ultimately left the country. Waks said the resignations on Friday were “token” and “insufficient”. He had previously called for the entire committee to resign. “Why is Don Wolf referred to as the current chair when only weeks ago he gave evidence that he had resigned from his post in 2014 due to personal circumstances?” Waks said. Many of Yeshivah’s victims were no longer interested in any scheme implemented by board members who were also on staff when the abuse was occurring, Waks said. Victims told the royal commission that despite reporting their abuse to senior staff and religious leaders, police were never called and the perpetrators did not stop abusing. “I, and I’m sure many of my fellow victims, will not recognise or engage with a scheme established by some of the very people who have failed us in relation to the abuse, cover-ups and intimidation,” Waks said. “We have already made it abundantly clear that we don’t trust them and we don’t have any confidence in them.